New unused Rolex Daydate with Baguette diamond dot dial and diamond bezel. Comes complete with box and papers. Available only in 18 ct gold or platinum, the Daydate was the first wristwatch to display the date and day of the week spelt out in full in a window on the dial. With the President bracelet, originally created specially for it, the Day-Date continues to be the watch par excellence of influential people. 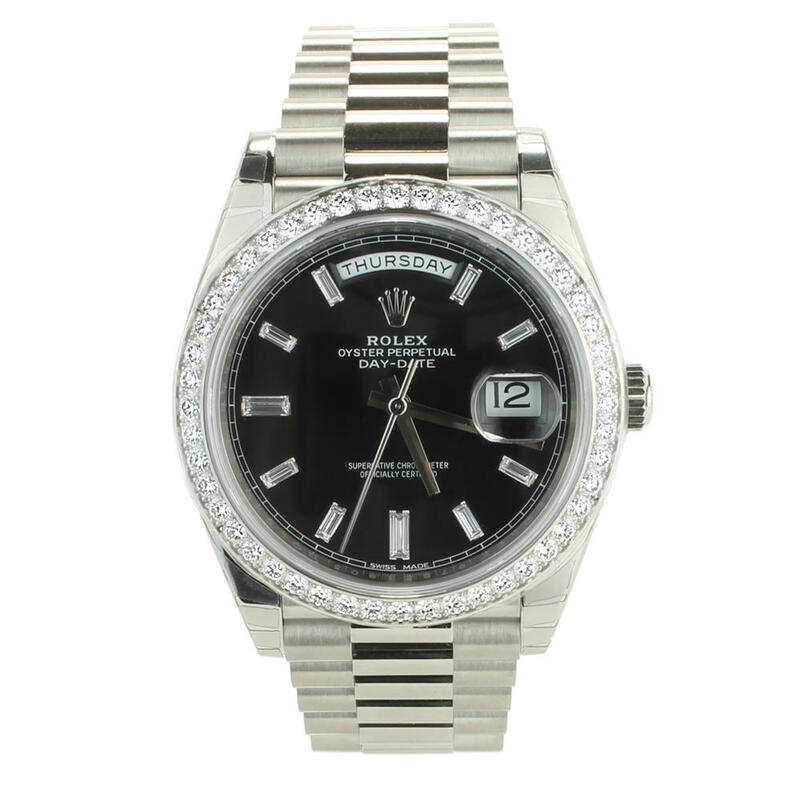 This Rolex Daydate 228349 RBR watch comes with box, papers and warranty.